Sound familiar? This clever, colorful boardbook delivers a hilarious version of the classic standoff between parent and toddler. A fun read-aloud that will make kids laugh while reassuring every parent of a recalcitrant child that they are not alone! 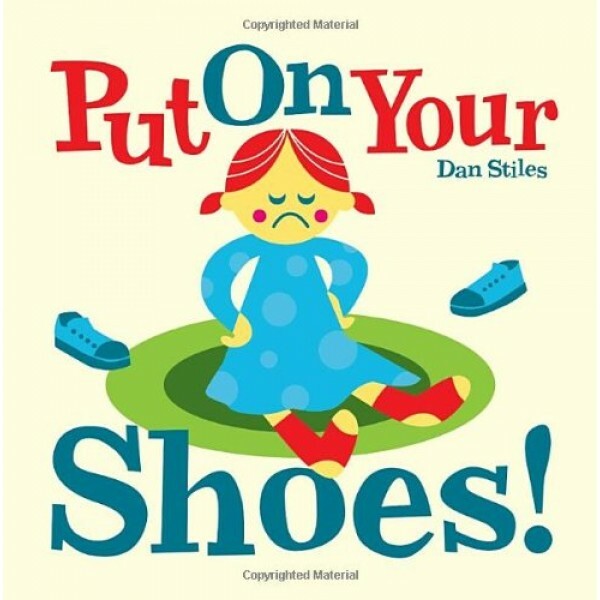 In his signature retro-modern illustration style (sure to appeal to lovers of Charley Harper) Dan Stiles delivers a colorful, fun-to-read play-by-play of the put-on-your-shoes battle that will resonate with parents of toddlers everywhere.